The Jaysh al-Islam militant group should be excluded from Syria peace talks because a group which uses chemical warfare should not be at the table and be treated as civilized, said retired CIA and State Department official Larry Johnson. 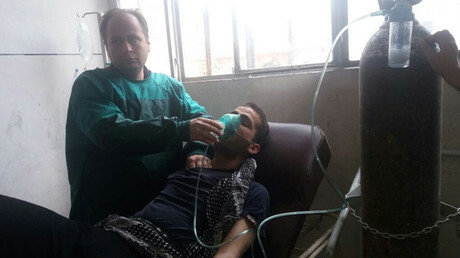 A toxic gas attack was perpetrated by the Jaysh al-Islam militant group against Kurdish YPG forces and civilians in the city of Aleppo on April 7. The group admitted using “forbidden” weapons against the Kurdish militia. RT: Jaysh al-Islam admitted the attack but went on to apologize. Do you find that surprising? Larry Johnson: For almost four years now we have known that key elements of the radical Islamists – particularly Al-Nusra and ISIS – have had persons that have skill and capability in developing chemical weapons. And actually they were the ones implicated in the August 2013 attack, the one which the Obama administration tried to blame on the government of Syria. That was an important incident because out of that incident the government of Russia came in and supervised the destruction of the chemical weapons stockpile that Syria had. So, this really has been a problem with radical Islamists and it’s time for those who had been willing to excuse their reprehensible conduct to admit that these people really are worthy of condemnation. RT: What is known about Jaysh al-Islam and where are they getting their weapons from? LJ: I don’t really know much about them other than that the primary source of the weapons are coming out of rat lines that originate with Saudi Arabia and Qatar. Turkey is facilitating the delivery of these weapons. So, these countries have played an important role in arming these groups. And the reason they are doing so is because they see this particular group, and the others like it, as the way to try to offset the expanding influence of Iran in the region. So, this really boils down to a rift between Iran and Saudi Arabia in terms of who is vying to have the most control in the area. RT: Jaysh al-Islam has a seat at the Geneva talks on Syria. Could this attack undermine the negotiations? LJ: It should eliminate them from the process. You cannot allow a group that is waging active chemical warfare to sit at the table and be treated as if they are civilized, because this is uncivilized conduct. These weapons, their effect has always been exaggerated at least in terms of the ability to impede military units…The real danger comes to civilians and as they are showing just in the last 48 hours the targets are civilians. And they really have no effective way of defending themselves. That really is what makes these weapons so despicable. RT: This is not the first report of a chemical weapons attack by extremists in Syria. How have they managed to get hold of these materials or to manufacture them? LJ: It is really not that complicated to manufacture them. To manufacture military grade weapons – yes, that’s difficult. But these are not military grade weapons. With simple chemicals such as chlorine you can create and release a chemical agent that is going to make it difficult for people to breathe and cause people to get sick…The fact that most of the victims here were sick and not killed instantly lets you know that this was an improvised device, that this was not military munitions. Military munitions of this sort can cause fatalities and very quickly. But it also requires a broad system for distribution, in other words you just not have an individual running around with an aerosol spraying it. You have to have concentrated either artillery, aerial bombardment of some sort or actually drop it from planes. So, to the extent that it looks like it was carried out through the rudimental artillery barrage because of its lack of lethality…. 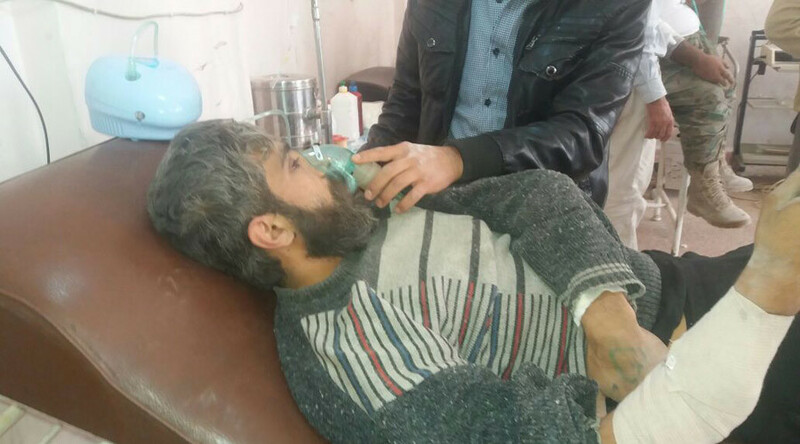 Ali Rizk, expert on Middle East affairs, says that the Jaysh al-Islam chemical attack on the Kurds may be an “attempt to sabotage the peace talks” in Geneva. “You have to remember that there is a disagreement now in Geneva about the fate of Syrian President Bashar Assad. The Syrian government delegation is against the precondition of Assad stepping down. The opposing groups continue to insist on him stepping down - this is the main sticking point. I think that what happened now with Jaysh al-Islam doing this - reflects the failure of the peace talks in Geneva. The failure is because of these groups insisting on the same precondition of Assad stepping down. This would mean - we will have more escalation, I believe, in Syria now in the upcoming period. I think we will see the response both from the Syrian army and also, possibly, from both Russia and the US because it is not in the interest of either Russia or the US or others for the ceasefire to fail. The only ones that would have the interest in not reaching an agreement would be Turkey first and Saudi Arabia second,” he told RT.